Interview with Krista Hiner, Esports Attorney & Bar Officer - On the Field: Women in Sports Law | Blog | Ms. JD | Determined to Rise. Please welcome Ms. Krista Hiner, Esports Attorney at ESG Law and Officer of the Esports Bar Association. 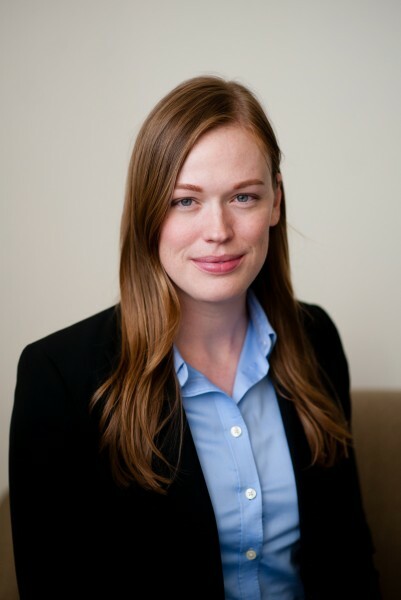 A graduate of William Mitchell College of Law, Ms. Hiner formerly was a Partner at Peterson Logren, & Kilbury, P.A., an employment law firm, before joining ESG Law in 2017. Ms. Hiner has served as a contributor to ESPN, spoken at esports conferences across the country, and is an avid gamer. Thank you so much for taking the time to connect with me, Ms. Hiner. What drew you to the world of esports? What aspects of your work most excite you? Ms. Hiner: I started gaming when I was a kid and never stopped, transitioning from handhelds to consoles. In college, I was an avid Halo player, and in law school, I became a denizen of the PC gaming world. The picture of my “dream job” evolved throughout the years, but it always involved gaming. However, legal jobs in gaming are hard to come by, especially in Minnesota where I graduated from law school. So, I filled my free time with non-legal, often unpaid, gaming-related projects when I could find them, which satisfied that desire for a while. Shortly after I graduated from law school, the modern era of esports emerged. While watching tournaments and reading about esports, my mind wandered to legal questions like, “Do players sign contracts?” “Is it hard to get permission from publishers to produce gaming events?” “What would workers’ compensation litigation look like in esports?” Over the years, many teams developed into sophisticated business organizations run by incredibly intelligent people who are aware of—and thoughtful about—these exact legal issues. They also considered these issues enough to create a need for esports attorneys. When the opportunity arose to work at the world’s first esports-dedicated law firm, it was an easy decision. There are a lot of aspects of my job that excite me! First and foremost, incorporating gaming and esports into my legal work is fun. Even the latest nights are made cheerful by the mere mention of an esports title, a player name, or any other superficial reminder that I’m working in esports. Second, esports presents novel legal issues in the areas of intellectual property, employment law, interjurisdictional leagues, and many other areas, that don’t have clear answers in case law or codified law. Not many industries can say that. What advice would you give to law students interested in entering niche legal industries? Ms. Hiner: Get creative with your endeavors while in law school! It’s easy for students to impose expectations on themselves that their job experience in law school must translate 100% into their eventual career. Law school naturally attracts Type A personalities, and we Type A’s tend to focus so intently on finding the straight, direct path to our goals, that we often overlook the winding roads. To use esports as an example: a student might focus so sharply on eventually becoming an esports attorney, that he or she will consider only esports legal opportunities while in law school. Those opportunities are few and far between. If a student chooses the winding road instead, they might find themselves pursuing other legal opportunities while working with an esports player agency, writing articles for gaming websites, moderating online esports communities, or publishing their own esports law blog. These opportunities are not esports law jobs per se, but they are each a chance to learn more about the industry, market yourself, meet other industry professionals, and build your resume with esports-related experiences. Students should also prioritize developing authentic relationships with those who operate in their niche industry of choice. Find attorneys who work in those niches, and ask them to share their experiences. Most attorneys are happy to speak with inquisitive, gracious students. How did you balance your love of gaming with your busy law school schedule? Ms. Hiner: This was difficult. My gaming decreased significantly, but I never gave it up. I was, however, thoughtful about when I let myself game. I set certain goals for myself with respect to my studies and, if I met those goals, I could game for a night. If not, then I would head back to the library. What challenges have arisen in working as a lawyer in a relatively young, unregulated industry? Ms. Hiner: There are many, but a major one in 2019 is adjusting to the interplay between the wide variety of rulesets imposed by the operators of esports leagues. Leagues like the Overwatch League and League of Legends Championship Series each have codified rulesets that govern issues ranging from player contract requirements to sponsorship agreements to any number of other business considerations. We, as lawyers, need to be familiar with these complex rulesets and also understand the implications that they have on the teams’ business operations as a whole, especially for those organizations who operate in multiple leagues. What are some other some aspects of the work that distinguish esports from traditional professional sports? Ms. Hiner: A major difference stems from intellectual property laws. With enough money, anyone in the U.S. could start their own football league without infringing on anyone’s rights, because nobody owns football. But, someone owns the rights to the video game you’re playing. Those ownership interests affect tournament production, sponsorship rights, use of gameplay data, and other aspects of esports businesses in ways that are irrelevant in traditional sports. Additionally, a traditional sports team focuses on one sport as opposed to esports teams which operate across multiple titles. The L.A. Rams are an NFL team, and that’s it. In esports, any one team organization likely fields teams in a number of esports titles. Esports team Team Liquid, for example, currently fields teams in esports games like League of Legends, Counter-Strike: Global Offensive, Dota, Rainbow Six: Siege, Street Fighter, StarCraft, and numerous other esports titles. This means that Team Liquid has to train players in each game, adjust to each league or tournament operator’s set of rules (of which there may be multiple operators for any given esports title), and operate all over the world. It would be as if the L.A. Rams also had MLB, NHL, and NBA teams and if some of the tournaments were international. It would also be as if traditional sports themselves evolved into whatever the traditional sports version of a “sequel” is, as games frequently come out with multiple versions. On March 6, Warriors Gaming drafted the first woman, Chiquita Evans, into the NBA 2k Esports League. What other positive changes have you seen in promoting diversity in esports since serving as chair of the Esports Bar Diversity Committee? Ms. Hiner: I am so excited about Chiquita Evans. Women are underrepresented in esports. Women of color, even more so. As the professional player base becomes more visibly diverse, it inspires other members of marginalized groups to pursue esports as a career. Of course, the road is not easy for those trailblazers. I admire women like Evans who aren’t deterred by that adversity and, instead, are driven by it. As Evans put it, she works to bring “inspiration to women to not give up, but to keep pushing." Unfortunately, it’s a double-edged sword. Shining the spotlight on women pros is great for the reasons I just mentioned. But in any male-dominated field—not just esports or the law—significant pressure is put on women. If they don’t knock it out of the park, or if they merely stumble, the backlash is ruthless. It is incredibly unfair. The EBA’s Diversity Committee is still in its infancy, having launched just a few months ago, and is still in the early stages of designing initiatives and learning from diversity experts in the industry about how to go about tackling such a complex problem. But I am excited about how active and driven my fellow committee members are. I look forward to seeing what we can accomplish in this inaugural year and in years to come. Finally, both law firms and esports leagues are based in teamwork. What values set apart the best teammates? Ms. Hiner: The best teammates complement each other. They have, and embrace, diverse experiences and personalities. Sure, sometimes these differences might trigger colorful discussions, but they force everyone to consider issues that they would have overlooked on their own. My firm, for example, works incredibly well as a team because we are all so different. Our professional backgrounds, approaches, personalities and communication styles all vary widely. We often joke with each other about where we each fall on various continuums. But we truly, genuinely value each other’s unique perspectives. It’s a tool we’re lucky to have in our arsenal. Thank you for your insight, Ms. Hiner! Game on! Tatum Wheeler is a first-year law student at UC Irvine. When she’s not studying, she spends her free time exploring the coastline, connecting with friends and family, and cheering on her favorite sports teams. Please feel free to contact her with any questions, comments, or further advice.